In a time of political and economic uncertainty, The World Economic Forum Annual Meeting in Davos presents an unrivaled platform for communication and collaboration among 2,500 of the world’s most powerful business leaders, heads of states, intellectuals, and journalists. Bloomberg Media’s annual multiplatform Davos reporting delivers insider access to this influential gathering, as well as a broader look at the forces shaping the global economy. 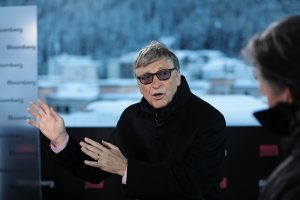 Coverage includes an in-depth multimedia preview of the World Economic Forum, a special The Year Ahead event, and minute-by-minute coverage live from the Congress Centre in Davos.